Trade promotes economic growth, alleviates poverty and helps countries reach their development goals. However, developing countries – in particular the least developed – face difficulties in making trade happen and turning trade into economic growth. The Aid for Trade Initiative – launched at the 2005 World Trade Organisation conference in Hong Kong – aims at helping these countries to take advantage of trade opportunities and to reap the benefits of their integration into the world economy. 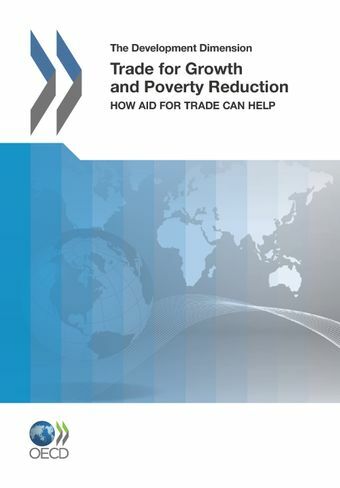 The Initiative has been a success: it has not only raised awareness among both donors and developing countries about the role of trade in development, but also helped secure increased resources.Trade for Growth and Poverty Reduction: How Aid for Trade Can Help explains how Aid for Trade can foster economic growth and reduce poverty, and why it is an important instrument for a development strategy that actively supports poverty alleviation. Unlocking this potential requires carefully designed and sequenced trade reforms. While developing countries have many trade-related needs, but financial resources and political capital for reforms are limited, it is an important priority to tackle the most binding constraints to trade expansion. This report describes the diagnostic tools available, evaluates their strengths and weaknesses, and suggests a dynamic framework to guide the sequencing of reform and donor support.